The Sacred Heart Chapel Wollongong. From the beginings in 1965 to today. Soon after their arrival in Australia, Fr. Aldo Lorigiola and Fr. Luciano Bianchini, two Scalabrinian Missionaries, found ahead of them two problems: the dispersion and the breaking up of the Italians and the lack of essential funds for any concrete step forward. In their minds, what seemed to them to be the obvious solution, was an "Italian Centre" which could be like the hearth of the Italian community of the South Coast. A small property with an old house was for sale in Burelli St, a very central zone of Wollongong and during the month of May 1965 it was possible for them to conclude the purchasing contract. For several weeks, with great pride and enthusiasm, a group of countrymen worked untiringly to bring to an end the adaptations necessary to the functioning of the premises as a centre for social and religious assistance for the community. Removing rubbish, breaking down walls, painting the walls of each room with lively colours, decorating the premises was a job which tempered the first group of the Italian community and which gave way to all the future initiatives. A new era began for the Italians of Wollongong with the official opening of the "Italian Centre" which was held on the 3rd of July 1955 which also corresponded with the celebrations of the 50th anniversary of the Scalabrinian Fathers founder, Mons. Giovanni Battista Scalabrini. Guests of honour were: the Apostolic Delegate of Australia (Nuncio) S.E. Romolo Carboni, Diocese of Wollongong Bishop Thomas McCabe, the Italian Consul General of Sydney and various authorities of the Australian community. On an estimate, 2000 people took part in the various celebrations that day. In a single day the Italian community had acquired a face of its own, and had taken on a project which would demand years of commitment, sacrifices and loyalty. Within a short time the Centre became the best known address, the starting and finishing point for so many typically Italian activities. The Centre played its part everywhere: in families, at the hospital, in lawyers' offices, in court, in agencies, shops and industry. From that point of view the modest work had grown enormously and was acknowledged and respected. The Centre's activities were followed with interest and increasingly well understood and there was sympathy and admiration for the Scalabrinian Fathers' work. The Centre had succeeded in transforming a scattered community into a united body, proud of its origins and ready to prove it enthusiastically, whether in the religious or the social sphere. 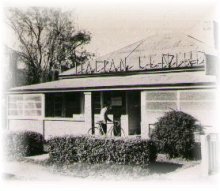 The original building was small; it was replaced in 1960 by another, complete with a café-restaurant. 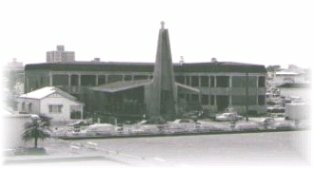 On Sunday, 13th March 1960, the blessing of the new Italian Centre of Wollongong took place. Those present were Bishop Thomas McCabe, the Lord Mayor of Wollongong, the Italian Consul General of Sydney, various local personalities, 8 Scalabrinian Fathers and a large representation of the Italian community. That day saw the start of a new phase both for the Scalabrinian community and for the migrants. The work increased but so did the desire of many Italians to be involved in bringing faith and comfort to people from their own country. A branch of the Italian Catholic Federation was set up in Wollongong like the one already well established in Melbourne. From this nucleus of generous members grew an association which still forms part of the life of the Italian Centre. It helps the Fathers in those unmistakably Scalabrinian undertakings including: material help to fellow Italians in difficulty, visits to the sick, the lonely and deserted, or simply spending time with an old man who just wants to hear his beloved dialect. They also organise activities of a religious, social and cultural nature. With their increased religious sensitivity, the members of the Federation felt a still greater desire to have a place that was really their own in which to meet and pray in an intimate group. In reply to your letter of 18th inst. I hereby confirm the permission granted verbally to you for the erection of a Chapel adjoining the Italian Centre, Burelli St, Wollongong. As we agreed this Chapel will be built to accommodate about one hundred people. It will be used mainly for the benefit of the members of the Italian Catholic Federation and as a centre where Italian people may contact their Chaplain - one of the Scalabrinian Fathers. Permission is granted for the celebration of Mass in the Chapel as required and for the reservation of the Blessed Sacrament servatis servandis. I enclose herewith the message to the Fourth Annual Congress of the Italian Catholic Federation. I hope that the Congress will be completely successful. On the 18th July 1966, this wish of the Italian Catholic Federation came true with the solemn blessing of the Chapel dedicated to the Sacred Heart. This Chapel, with its very fine windows, became the symbol of faith, enthusiasm and religious vigour of the Italian community. Today it is the living heart of the Italians of Wollongong and surrounding areas. Every Sunday it welcomes a large number if the faithful to Holy Mass; couples consecrate their mutual love in marriage; this chapel resounds with the wails of the numerous babies being baptised and often witnesses the last farewell to those who probably helped in various ways to build it. 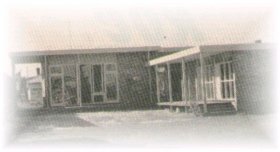 When the Scalabrinian Fathers withdrew from Unanderra, after 25 years of ministry in the parish on the 3rd July 1977, because contrary to all expectations, Italians had not settled there in sufficient numbers, the Fathers thought it best to focus their Apostolate on the Italian Centre as the fulcrum of all activities for the Italians of the region. With the subsequent arrival of very many migrants of Spanish, Portuguese and South American origin, the Scalabrinian Fathers have for the last 18 years committed themselves to caring for them, since they too need guidance and support. The new building constructed in December 1977 has become a real "International Centre" for within its walls people of all nations find help, advice and support. A hand is held out to all as a sign of welcome and friendship. The design of the chapel is simple and symmetrical. It's designer was Gino Volpato and the builders were Sabemo. A low pitched gable roof embraces a rectangular nave with and entrance at the south end, ancillary rooms at the north end and broad verandas protecting the extensive glazing of the east and west side walls. The ceiling follows the roof lines, sloping downwards from ridge to each side wall. The north wall, behind the altar, is face brickwork. The seating layout is traditional, with modern pews flanking a wide central isle. A pyramidal tower-spire dominates the south or front façade, with the entrance porch at its base and a cross at its apex. The architectural style of the building is late 20th century ecclesiastical. The migrant's life has not been made easier by progress and so the Scalabrinian Fathers will always have an immense apostolate. In Wollongong especially the soul of Italian traditions will always be "The Centre", whose aim is, not just to be an imposing building, but a monument to determination, perseverance and love.